Hope everyone is having a nice weekend. We’re enjoying a nice spring day here in NJ. Looking forward to getting the outside spruced up over the next couple of weeks. I found this piece of Iron Gate at a craft fair a few years ago in Southern New Jersey. It is very heavy and I didn’t know what I was going to do with it at the time, but I thought it was so neat and just had to make the purchase. I am so glad that I did, I adore this piece and decided to hang it over our bedroom doorway. 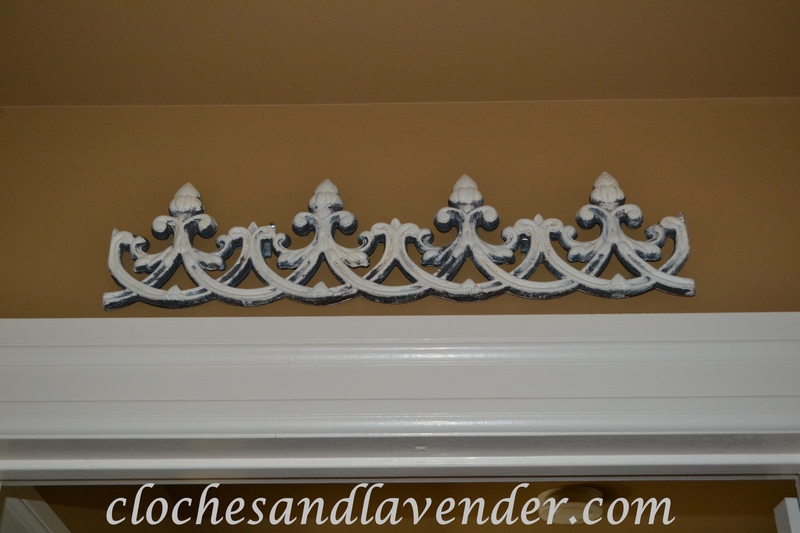 I love the whimsy it brings to the entranceway of our bedroom. Love it! I never thought of decorating over my doors until I met you! Your shopping expeditions turn up some great items. It looks perfect over the doorway. That’s so pretty! 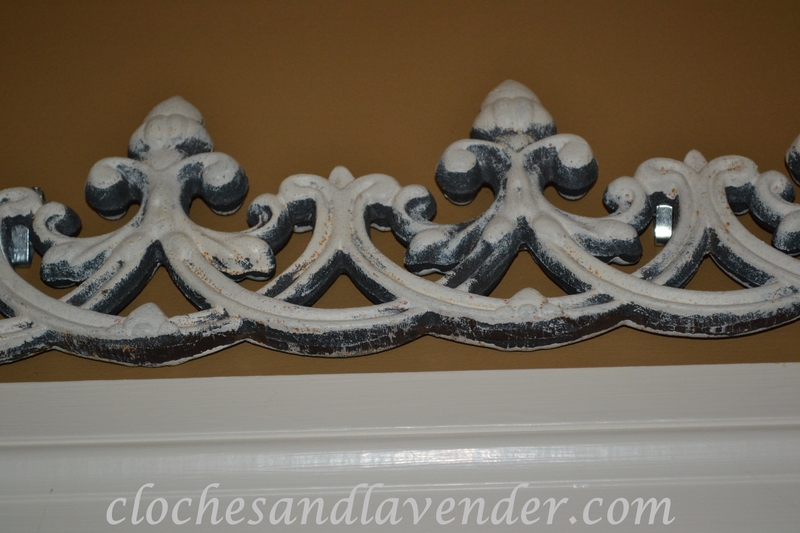 I almost bought some white painted iron work at an antique store not long ago, but I’m glad I didn’t. It would’ve been too big for where I pictured it. Yours looks perfect. That is a great looking piece for sure. Good eye. Thanks for sharing with the newbie party. Such a nice piece, especially against that paint color. It is a striking combination. I just jumped over from the Newbie Party.